Clark Dietz recently hosted a week-long Traffic Capacity Workshop with Professor Rahim (Ray) Benekohal, PhD from the University of Illinois at Urbana-Champaign. Clark Dietz employees, sub-consultants, and local area engineers attended the training session, where they learned how to interpret and use the 2010 Highway Capacity Manual while also gaining hands-on experience with highway capacity software. This training, in conjunction with active traffic engineering projects, enables attendees to maintain their Traffic Studies prequalification with the Illinois Department of Transportation. Specific topics discussed in the training included the fundamentals of capacity analysis and how it relates to freeways, multi-lane highways, two-lane highways, signalized and un-signalized intersections, and arterial streets. New topics such as pedestrian and bicycle level of service analysis were also included in the training. Attendees earned up to 32 professional development hours. Professor Benekohal has been on faculty at the University of Illinois in the Department of Civil and Environmental Engineering since 1987. He teaches undergraduate and graduate courses and conducts research in traffic flow modeling and simulation, traffic flow theory, intelligent transportation systems, traffic operations, and traffic safety. He also serves as Director of the Traffic Operations Lab. Clark Dietz is a multi-discipline consulting engineering firm operating from offices in Illinois, Indiana, and Wisconsin. The firm’s primary areas of service include transportation and civil and environmental infrastructure as well as electrical, mechanical, and structural engineering. For over 60 years, Clark Dietz has served local, municipal, and state clients. More information can be found at www.clarkdietz.com. EastBridge Engineering announces the formation of a new operating division dedicated to serving the needs of the global new product development segment. The Design Launch Division provides design review, vendor qualifications and audits, generation of quotations, prototype fabrication, transfer to mass production, and quality assurance services to product designers, industrial designers, and engineers that need to quickly launch new products. With its own expert staff co-located in EastBridge's ten worldwide offices, the new division includes chemical, electronic, mechanical, plastics, quality, and tooling engineers and technicians. The division is responsible for ensuring that all new product development operations are carried out to global standards and for monitoring the production and final quality of new products. The new organization is designed to strengthen the new product launch services provided across the EastBridge group. It is headed by Dominic Paratore, who reports directly to Chief Executive Jack Daniels. The company made the decision to establish the new function based on a need in the new product development community for real-time global engineering support in an English-only environment. This approach to new product development emphasizes speed and flexibility and provides a predictable outcome for product managers. It eliminates the dated approach of multiple functional specialists acting in a relay race model. With design launch driving the process, new products move smoothly and sequentially from concept development to feasibility testing, product design, development process, pilot production, and final production. Headquartered in Boston, Massachusetts with offices throughout Asia, EastBridge Engineering (www.EB-INTL.com) was founded in 2003 to provide original equipment manufacturers, product designers, and entrepreneurs with on-the-ground manufacturing management, vendor development, and supply chain management services in the Asia-Pacific region. We guide manufacturing launch projects in China, Hong Kong, Indonesia, Japan, Korea, Malaysia, Singapore, Taiwan, Thailand, Viet Nam, and many other locations in Asia. 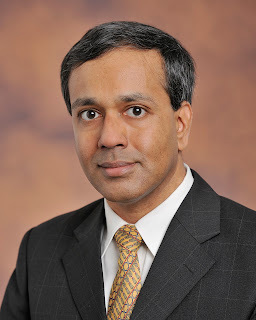 If the current national challenge to make solar energy cost competitive with other forms of energy by the end of this decade is met, Ranga Pitchumani, the John R. Jones III Professor of Mechanical Engineering at Virginia Tech, will have played a significant role in the process. U.S. Secretary of Energy Steven Chu announced the Department of Energy's SunShot Initiative in February 2011. Its objective was to reduce the installed cost of solar energy systems by about 75 percent to allow widespread, large-scale adoption of this renewable clean energy technology. Following the announcement, Pitchumani was invited to direct the Concentrating Solar Power (CSP) program for the SunShot Initiative towards its ambitious goals. "The SunShot goal is to get solar energy technologies to achieve cost-parity with other energy generation sources on the grid without subsidy by the year 2020. That's an aggressive mission which calls for several subcomponent innovations and ingenious system designs to drive costs down, while improving efficiencies," says Pitchumani. "Concentrating solar power technologies use mirrors to reflect and concentrate sunlight to produce heat, which can then be used to produce electricity," Pitchumani explains. These technologies present a distinct advantage over photovoltaic (PV) cells in their ability to store the sun's energy as thermal energy, and represent a subset of the SunShot Initiative. Pitchumani is a leading expert in the field of concentrating solar power. He and his research group at Virginia Tech have developed novel thermal energy storage technologies for concentrating solar power applications that are widely published. He is the overall conference chair for SolarPACES 2013 this year, the foremost international meeting in the area of concentrating solar power systems and is an editor for Solar Energy. "Fossil fueled power plants pose a potential risk to the environment through an increased carbon footprint, and my efforts are in supplanting fossil energy with renewable sources including solar energy. Concentrating solar power plants capture the solar energy and store it as heat, which can, in turn, be used to drive a turbine and produce electricity. In fact, studies have shown that CSP with thermal energy storage also facilitates greater incorporation of other renewables such as wind and photovoltaic on the grid. That's a win-win on all fronts," Pitchumani says. "Due to the intermittent nature of solar energy availability, it is often desirable to store thermal energy from a concentrating solar power plant for use on demand, including at times when solar energy is unavailable such as during cloud cover or overnight. Energy can be stored either as sensible heat (in solid or molten media), latent heat (using phase change materials), or as products of a thermochemical process, of which latent heat and thermochemical storage offer high volumetric energy density and potentially high power cycle efficiency, provided costs can be tamed," he adds. In his role, Pitchumani oversees a team of several program managers and technical, financial, and support personnel, who actively manage the awards in the portfolio. During his leadership, the SunShot Concentrating Solar Power Program has launched over $130 million in new funding initiatives since October 2011. Combined with the awards continuing from prior funding opportunities, the program maintains an appropriately balanced portfolio of projects at industry, national laboratories, and universities dedicated to applied scientific research, development, and demonstration to advance cutting-edge concentrating solar power technologies for the near, mid, and long terms. Concentrating solar power plants could provide for low-cost energy generation and have the potential to become the leading source of renewable energy for future power generation. In the United States, several large-scale commercial plants (e.g., Ivanpah Solar Electric Generating Station, Crescent Dunes Solar Energy Project, and Abengoa Solana Generating Station) are currently under construction, with some getting ready to be commissioned starting in a few months. These would more than triple the total capacity of concentrating solar power-generated electricity to about 1.8 gigawatt and place the United States as one of the global leaders in CSP capacity. On a worldwide scale, studies suggest that concentrating solar power technology systems could provide approximately one-quarter of the global electricity needs by 2050, Pitchumani says. The College of Engineering at Virginia Tech offers 14 engineering disciplines and computer science. The college's 6,000 undergraduates benefit from classroom instruction with two unique design-and-build facilities and the Cooperative Education Program. With more than 50 research centers and numerous laboratories, the college offers its 2,000 graduate students opportunities in advanced fields of study such as biomedical engineering, state-of-the-art microelectronics, and nanotechnology. Dewberry, a privately held professional services firm, has hired Kevin Wood, P.E. as associate vice president in the firm’s Fairfax, Virginia, office. In his new role, Wood will manage the firm’s mid-Atlantic water, wastewater, and water reuse projects and lead strategic business development initiatives. Wood holds a bachelor’s degree in civil engineering and a master’s in civil and environmental engineering from West Virginia University. He is a member of the Water Environment Federation, American Water Works Association, and Virginia Water Environment Association, where he served as president from 2005 to 2006. Wood has been published in Water Environment and Technology. Dewberry provides architecture, engineering, and management and consulting services to a wide variety of public- and private-sector clients. Established in 1956, Dewberry is headquartered in Fairfax, Virginia and has more than 40 locations and 1,800-plus professionals nationwide. To learn more, visit www.dewberry.com. The California High-Speed Rail Authority has awarded a two-year $120 million contract extension to Parsons Brinckerhoff for program management services on the California High-Speed Rail project. One of the largest, most ambitious public transportation programs in U.S. history, the project will allow passengers to travel from Los Angeles to San Francisco at speeds capable of over 200 miles per hour, making the trip in under three hours, compared to almost six hours by automobile. The first phase of the planned 800-mile network will run from Los Angeles to the San Francisco Bay Area through California’s Central Valley, with subsequent phases connecting to San Diego and Sacramento. Parsons Brinckerhoff has served as the project’s program manager since 2006 and is assisting the California High Speed Rail Authority with all aspects of the program, including planning, environmental review, preliminary engineering, and testing and commissioning. Other key responsibilities include developing the criteria and technical standards that will define high-speed train systems, procurement of system-wide design-build contracts, and supporting the Authority on a range of project development activities, including economic impact analyses, business planning, and grants. Parsons Brinckerhoff develops and operates infrastructure around the world, with 14,000 employees in the Americas, Europe, Africa, the Middle East, Asia, and Australia-Pacific regions. The firm offers skills and resources in strategic consulting, planning, engineering, program/construction management, and operations for transportation, power, mining, water/wastewater, and community development projects. Parsons Brinckerhoff is part of Balfour Beatty, an international infrastructure services business operating in professional services, construction services, support services, and infrastructure investments (www.pbworld.com). Promised Land State Park is located in the heart of the Delaware State Forest in Pike County, PA. The park offers 3,000 acres of land for fishing, hiking, camping, horseback riding, and ice skating. In addition to over 220 campsites, Promised Land State Park has two lakes containing various forms of aquatic life. In 2006, it became apparent that the bridge and dam over Lower Lake in the park needed to be replaced. Originally built in 1958, the structures were deteriorating. 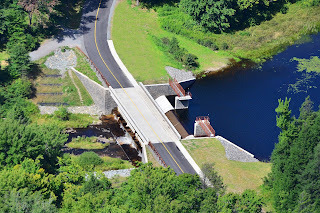 The Pennsylvania Department of Conservation and Natural Resources called on Larson Design Group (LDG) to design the replacement of the three-span bridge located over a concrete dam and the lake. The challenge was to maintain public access to the state park’s 220 campsites and maintain water levels in the 250-acre lake throughout the design and construction of the new bridge. Environmental impacts were significantly reduced by not draining the lake. Had it been drained, aquatic ecosystems within the lake as well as dependent non-aquatic species outside of it would have been affected. Despite the challenges surrounding the project, construction costs came in $445,000 under budget. Renovations were completed in August of 2012. On April 15, 2013, the Susquehanna Chapter of the Association for Bridge Construction and Design (ABCD) honored LDG as the winner of the Medium Span Bridge category at ABCD’s annual awards ceremony. Gunsallus appreciated the recognition. “It’s always an honor to have your team’s work recognized, particularly when the project was as challenging as this one.” Schnabel Engineering acted as the dam engineering subconsultant to LDG on this project. Larson Design Group is a growing multi-discipline architecture, engineering, and surveying firm providing design solutions for the private and public sectors. With 10 offices in Pennsylvania, New York, West Virginia, and Texas, LDG staff members have knowledge in environmental systems, energy, surveying, site development, structures, transportation, and inspection. Entech Engineering, a full-service engineering/architectural firm providing facilities planning and design services to municipal, governmental, industrial, commercial, and college/university clients, has recently appointed three new principals within the firm. Scott Compton, AIA; Bryon Killian, P.E. ; and Bryan Haag, P.E. have joined the leadership team to bring Entech to a total of seven principals. Scott Compton, AIA, is a senior project manager specializing in facility condition assessments. With experience in land development, planning, and zoning policies, Compton manages the implementation of facilities strategic, capital, and energy planning and directs accessibility barrier assessment and facility condition assessment services. Compton holds a B.Arch. degree from Temple University and is a Registered Architect in Pennsylvania, an NCARB Certificate holder, and a LEED AP. He began his career with Entech in 2007. Bryon Killian, P.E., serves as a business development manager, playing a key role in developing business relationships with our water and wastewater clients. Killian oversees all client contact, proposal generation, and presentations for our civil/environmental work. As a client manager, he has led a variety of wastewater, water, and stormwater projects involving system operation and evaluation, data analysis, permitting, and engineering services from design through construction. Killian holds a B.S. in Environmental Engineering from The Pennsylvania State University. He is a Certified Wastewater Operator and a registered Professional Engineer in Pennsylvania. Killian began his career with Entech in 2002. Bryan Haag, P.E., is a lead project manager specializing in energy engineering and analysis. Haag manages a variety of mechanical engineering projects and oversees the energy auditing of existing and problematic building systems. He also directs our energy modeling efforts, simulating energy use to identify opportunities to conserve through upgrades to existing facility equipment and operations. Haag holds a B.S. in Architectural Engineering - Mechanical Concentration from Drexel University. He is a registered Professional Engineer in Pennsylvania and a LEED AP. 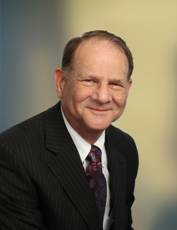 Haag began his career with Entech in 2003. Headquartered in downtown Reading, Pennsylvania, Entech has been a full-service provider of engineering and architectural services since 1981. Satellite offices are located in Pittsburgh, Allegheny County; Pottsville, Schuylkill County; Mountaintop, Luzerne County; and Lititz, Lancaster County. For more information, visit www.entecheng.com. Richard Reis has been named a vice president and northwest regional manager for URS Corporation’s Infrastructure & Environment Division. In his new position, Reis will lead the business operations of more than 500 URS employees in Washington, Oregon, Alaska, and western Canada. Reis has more than 34 years of managerial and hands-on experience in civil and environmental engineering, construction, and project management. Prior to joining URS, he served as operations manager for Tetra Tech in Bellevue, Washington. Previously, he was northwest regional operations manager at WHPacific, where he provided operational oversight for ten offices in the Northwest. He also has worked for Fluor Daniel, SCS Engineers, and EMCON, undertaking project assignments in Japan, Canada, and Saudi Arabia. Reis holds a Bachelor of Science in Civil Engineering degree from the University of Southern California and completed the executive management program at the University of Washington. He is a registered professional engineer in Washington, Oregon, and Alaska. URS Corporation provides engineering, construction, and technical services for public agencies and private companies around the world. The company offers a full range of program management; planning, design and engineering; systems engineering and technical assistance; construction and construction management; operations and maintenance; information technology; and decommissioning and closure services. URS provides services for federal, oil and gas, infrastructure, power, and industrial projects and programs. Headquartered in San Francisco, URS Corporation has more than 54,000 employees in a network of offices in nearly 50 countries (www.urs.com). The Reliability Excellence Certificate program provides an understanding of reliability principles and the essential tools and processes required to develop, implement, and sustain a reliability program for a manufacturing operation. The program is designed for executive-level participants such as chief operating officers, vice presidents of operations, general managers, as well as reliability managers, plant managers, and others engaged in continuous improvement initiatives such as Lean, Total Productive Maintenance (TPM) and Six Sigma. The program is designed to educate participants on the development and implementation of a strategic, holistic reliability engineering program that will reduce organizational risk and improve operational performance. It teaches effective asset management best practices, preventive and predictive maintenance, and root cause analysis techniques. And the program has an additional component that offers candidates the opportunity to gain a Reliability Engineer Certification (REC) upon completion and approval of a work product. Scheduled courses in each certification program began in May 2013 and will be delivered at Clemson’s Greenville, South Carolina training facility. Candidates for either certificate program will register through Clemson University’s Center for Corporate Learning. Life Cycle Engineering (LCE) provides consulting, engineering, applied technology, and education solutions for private industry, the Department of Defense, and other government organizations. Founded in 1976, LCE is headquartered in Charleston, South Carolina with offices across North America and experience around the globe. Clemson University’s Center for Corporate Learning designs and develops continuing, professional, and executive education programs. Through partnerships with faculty, community leaders, industry consultants, and entrepreneurs, they offer custom and open enrollment programs. Stevens Institute of Technology has formed a strategic partnership with Langan Engineering & Environmental Services to provide expertise related to flood mapping and deliver engineering solutions to help protect coastlines and urban areas threatened by sea level rise. Stevens is recognized as an academic authority on coastal, oceanographic, and maritime engineering and is home to the Center for Maritime Systems, which focuses on assessing, predicting, and mitigating the damage of natural and man-made disasters to coasts. Langan is an engineering firm that provides civil, geotechnical, and environmental consulting, with particular expertise in waterfront communities and port cities. Since Hurricane Sandy caused unprecedented damage to the New York metropolitan region, Stevens faculty and Langan leaders have conferred about the many technical issues affecting real estate and development projects in the area. For example, as a result of the devastation, Advisory Base Flood Elevation Maps for the New York and New Jersey coastlines have been released by the Federal Emergency Management Agency (FEMA). These maps are an intermediary step to help homeowners and businesses re-build before official revised FEMA Flood Maps are issued. Stevens and Langan are well suited to help all stakeholders better understand the impact of these Advisory Base Flood Maps, interpret the new regulations stemming from their release, and provide counseling to minimize damages from severe weather incidents and predicted elevations in sea rise. "We are honored to partner with Stevens Institute of Technology, a leader in maritime engineering as well as coastal and oceanographic studies – scientific disciplines that are incredibly important as we rebuild from Sandy and work to protect our cities and critical infrastructure for other natural disasters," says David Gockel, president/CEO, Langan. "Sea level rise is a real threat to waterfront property owners and future development along rivers, oceans, and bays. Together, we look forward to advancing our collective knowledge on this subject and to designing solutions to help our clients, friends and neighbors." This strategic partnership will provide Langan with greater access to technical expertise in the fields of coastal flood protection and in turn will allow research derived by Stevens to be applied to properties most affected by storm surges and flooding in New Jersey, New York, Connecticut, Philadelphia, Washington, D.C., Florida, the San Francisco Bay area, and California coast. "This alliance provides the perfect synergy between an academic institution and a professional consulting firm," says Michael Bruno, dean of the Charles V. Schaefer, Jr. School of Engineering and Science at Stevens. "Both Langan and Stevens recognize the incontrovertible evidence that novel engineering is needed if we are to preserve our way of life while ultimately respecting the larger natural environment." Langan and Stevens have maintained a mutually beneficial relationship for more than a decade. Langan employs more than 30 Stevens alumni, and Stevens conducts graduate school courses at Langan's Learning Center within the firm's headquarters. Founded in 1970 and headquartered in Elmwood Park, New Jersey, Langan (www.langan.com) provides integrated site engineering and environmental consulting services for private developers, property owners, and public sector clients. Langan employs nearly 700 professionals and has regional offices in New Jersey, New York, Pennsylvania, Connecticut, Virginia, Florida, and California with more than 125 LEED APs. Langan International, the firm's wholly-owned subsidiary based in New York, provides all technical disciplines from offices in Abu Dhabi, Dubai, Athens, Doha and Istanbul. Founded in 1870, Stevens Institute of Technology is a private research university situated in Hoboken, New Jersey overlooking the Manhattan skyline. Within the university's three schools and one college, more than 6,100 undergraduate and graduate students collaborate with more than 350 faculty members in an interdisciplinary, student-centric, entrepreneurial environment to advance the frontiers of science and leverage technology to confront global challenges. Stevens is home to three national research centers as well as joint research programs focused on critical industries such as healthcare, energy, finance, defense, and STEM education. Ernest Schirmer, RCDD/NTS CTS, has joined Vanderweil Engineers’ Technology Design Group as a senior engineer and project manager specializing in information technology and integrated intelligent building systems. 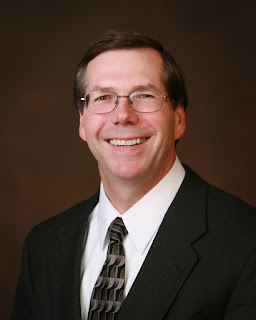 His background includes national and international experience in telecommunications, data centers, multimedia, and network design for higher education, corporate, commercial, and healthcare clients. Schirmer will support Vanderweil’s Mid-Atlantic offices in New York, NY; Princeton, NJ; and Philadelphia, PA.
Schirmer previously served as managing director of the Mid-Atlantic office of Acentech and as vice president of technology consulting with the Syska Hennessey Group. His experience includes technology consulting within the pharmaceutical, healthcare, education, research, corporate, aviation, and hospitality markets. 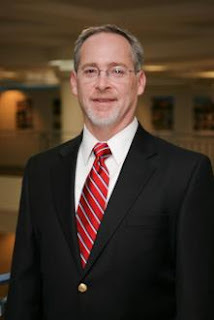 Schirmer is vice president of education for the Association of Information Technologies, former task force leader for the Continental Automated Building Association, life member of the Institute of Electrical and Electronics Engineers, instructor for the Building Owners and Managers Institute, member of the International Facility Management Association, and a member of the Association of Physical Plant Administrators. He is a BICSI Registered Cable Distribution Designer (RCDD) and Network Transport Specialist (NTS), serves on the organization’s Higher Education and Building Information Modeling (BIM) standards committees, and is a Northeast Region associate director. Schirmer is also an InfoComm Certified Technology Specialist (CTS). Schirmer holds degrees in electrical engineering and business administration; a B.S. in economics from the State University of New York College at Oneonta; and an MBA in information systems and marketing from the State University of New York, Binghamton. R.G. Vanderweil Engineers’ Technology Design Group (TDG) specializes in cutting-edge technology, AV, security, and data center design projects. Founded in 1950 and based in Boston, the 420-employee firm also has offices in Los Angeles, New York, Philadelphia, Princeton, Syracuse, and Washington, D.C. Vanderweil Engineers has earned numerous awards for its design and consulting services, including the development of advanced strategies for sustainable and energy-efficient systems. Patti Engineering, a leader in control systems integration, has joined the Organization for Machine Automation & Control (OMAC). OMAC brings together manufacturers, OEM machine builders, system integrators, technology providers, and government agency organizations to address issues that confront global manufacturing today. OMAC initiatives help manufacturers work together to find new and innovative ways to be successful in their production operations. In today’s global economy, manufacturers continue to strive for new ways to reduce delivery times, be more efficient with available resources, and increase profitability, all while maintaining their competitive advantage. When manufacturers come together and collaborate with machine builders, automation suppliers, and system integrators to share expertise and best practices, the whole industry benefits. OMAC is dedicated to advancing manufacturing capabilities and efficiencies through identifying common problems, standardization, and improvements to processes that positively impact the way companies do business. “We are pleased to be a member of OMAC and look forward to gaining valuable insights from other members, as well as, providing our expertise as a control system integrator to assist the organization in meeting their goals,” commented Sam Hoff, president of Patti Engineering. Based in Auburn Hills, MI, Patti Engineering is a CSIA-certified control system integrator offering engineering and software development services in the fields of industrial automation and shop floor IT solutions. A recognized partner of many automation technology companies, Patti Engineering is a Siemens Solution Partner, an Authorized Mitsubishi Integrator, in addition to being in the integrator programs for Phoenix Contact, Iconics, and Indusoft. Highlighting new technologies and advancements in manufacturing, the Society of Manufacturing Engineers (SME) announces its 2013 list of Innovations That Could Change the Way You Manufacture. Selected by SME’s Innovation Watch Committee, the new and emerging technologies on this list have already shown successful implementation and are making a difference in manufacturing today. Manufacturers can adopt the materials and processes to reduce costs and develop innovative products that will keep U.S. manufacturing strong.